Michelle, born overseas but raised in Australia, is holidaying in Vietnam where she finds herself in the confronting position of being both a foreigner and a native. She writes postcards home expressing this sense of duality. These missives are interspersed with excerpts from a mysterious book called ‘The Psychic Guidebook’, surreptitiously given to Michelle by a shadowy postcard-seller. These address the psychic journey of travel, and offer a more symbolic perspective of Vietnam in contrast to the surface observations written on the postcards. 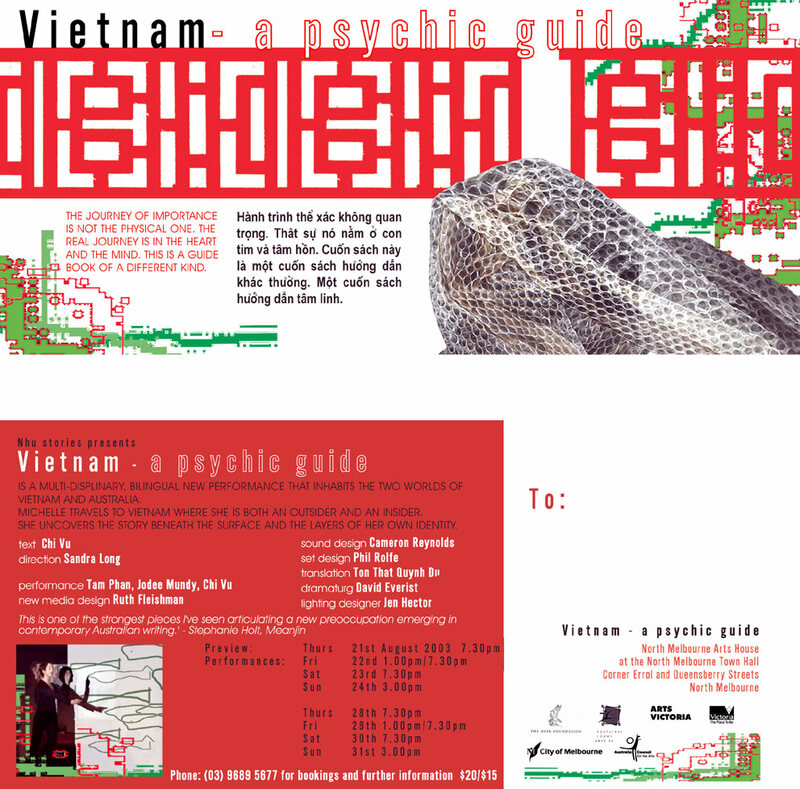 ‘The Psychic Guidebook’ hints at the political and artistic repression faced by dissident artists in Vietnam. Việt Nam: sách hướng dẫn tâm linh, Tôn Thất Quỳnh Du dịch.